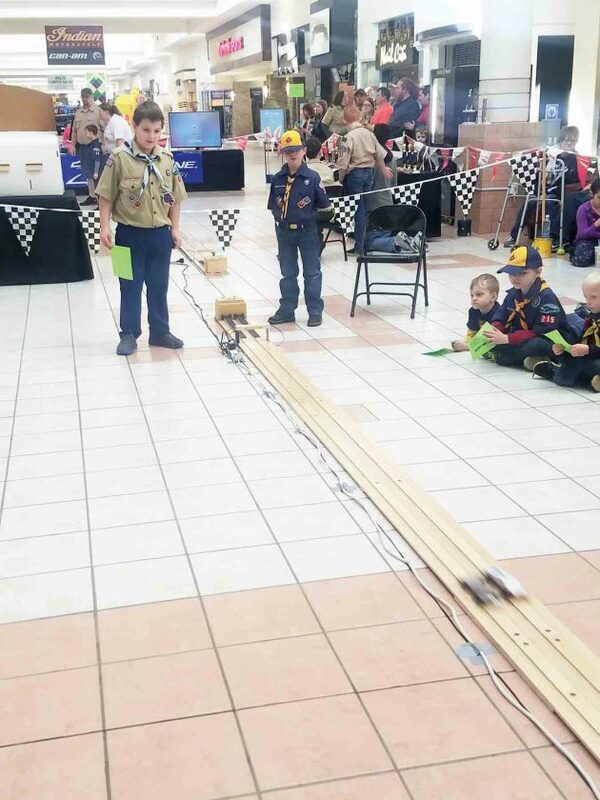 Photo By Madeline Scarborough Joseph Pauley, 8, with Pack 3, Parkersburg, and Easton Baker, 8, with Pack 20, Vienna, wait at the end of the track to see whose derby car finishes first and moves on to the next round. 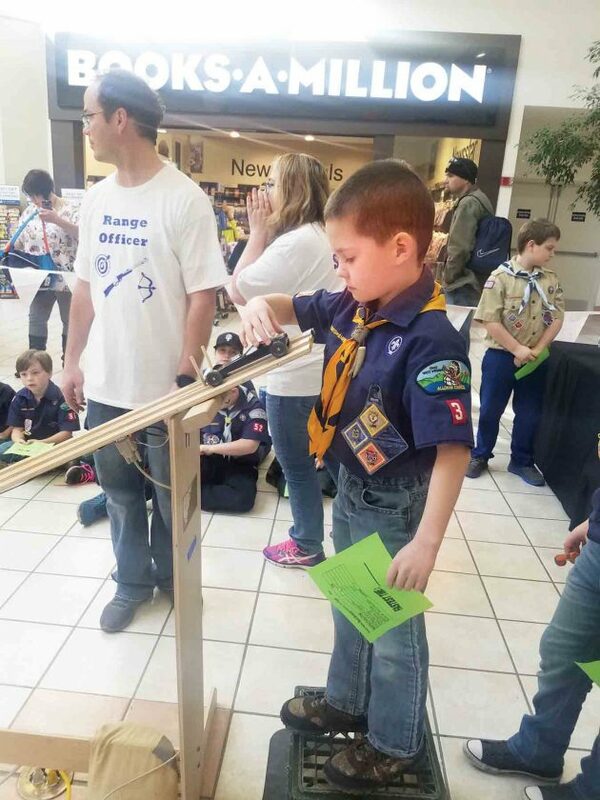 Photo By Madeline Scarborough Mack Modesitt, 8, of Pack 3, Parkersburg, places his derby car on the track at the annual Pinewood Derby race on Saturday. 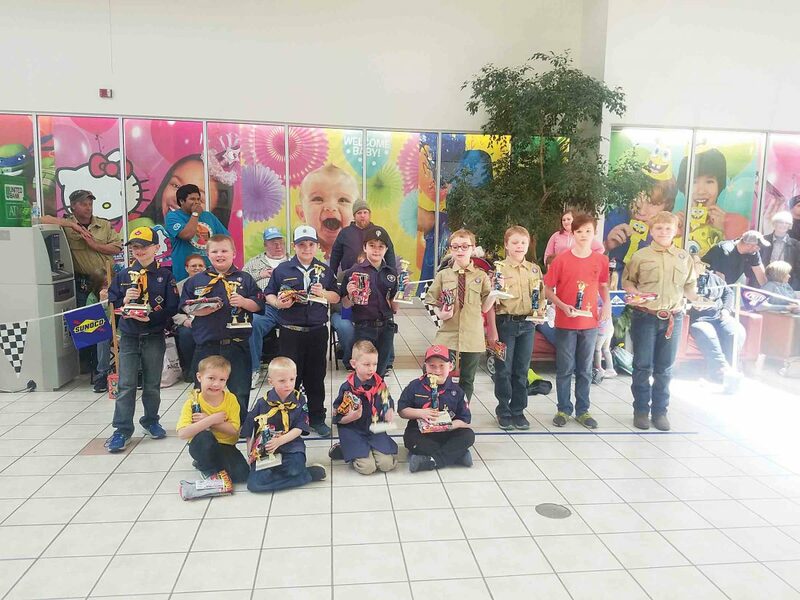 Photo By Madeline Scarborough First row from left: The first and second place winners from each division, Carter Duley, 6, of Pack 19; Titus Powell, 5, of Pack 17; Aiden Fox, 7, of Pack 3; Maverick Brotherton, 6, of Pack 440; Second row from left: Brady Fisher, 8, of Pack 419; Xavier Powell, 7, of Pack 17; Collin McPherson, 9, of Pack 52; Benjamin Rodehaver, 9, of Pack 52; Jesse Morris, 9, of Pack 86; Alex Parker, 10, of Pack 13; Ryordan McKinney, 11, of Pack 3 and Maxwell Parker, 11, of Pack 13. 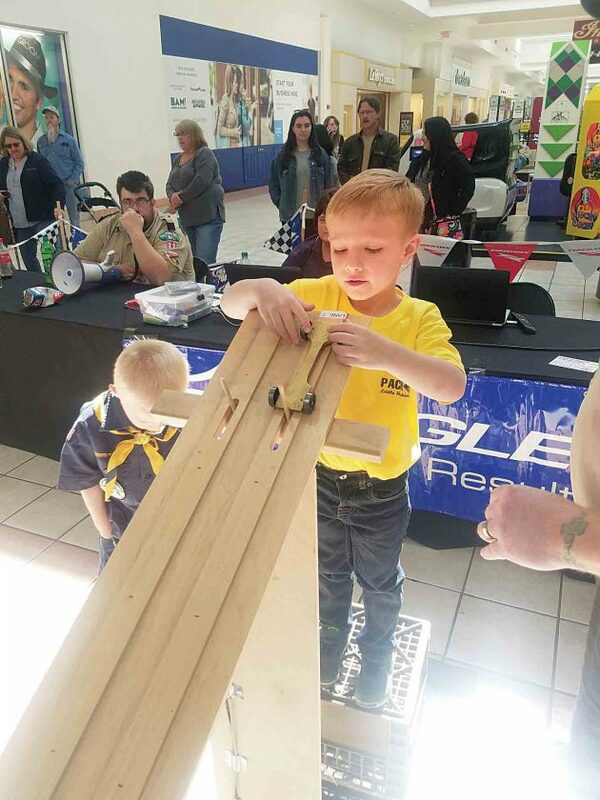 Photo By Madeline Scarborough Carter Duley, 6, of Pack 19, loads his derby car on the track at the annual Pinewood Derby race on Saturday. 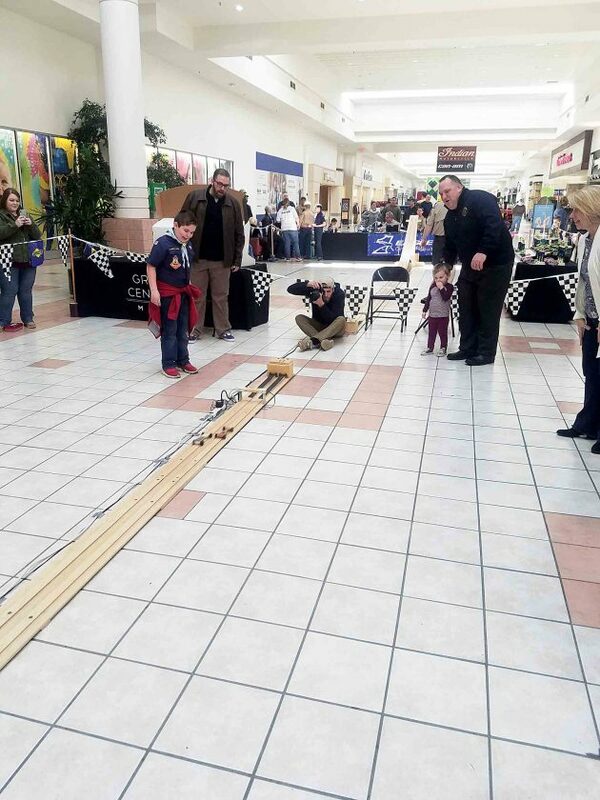 Photo By Madeline Scarborough Vienna City Attorney Russell Skogstad and son John Skogstad, 9, race against Vienna Police Chief Mike Pifer and his daughter Emmy Pifer, 2, during the Mayor’s Race at the annual Pinewood Derby on Saturday. Photo By Madeline Scarborough The overall reigning champions who will be moving on to the championships are Benjamin Rodehaver, 9, Titus Powell, 5, and Brady Fisher, 8. * Lion Division: first, Titus Powell, 5, of Pack 17; second, Carter Duley, 6, of Pack 19. 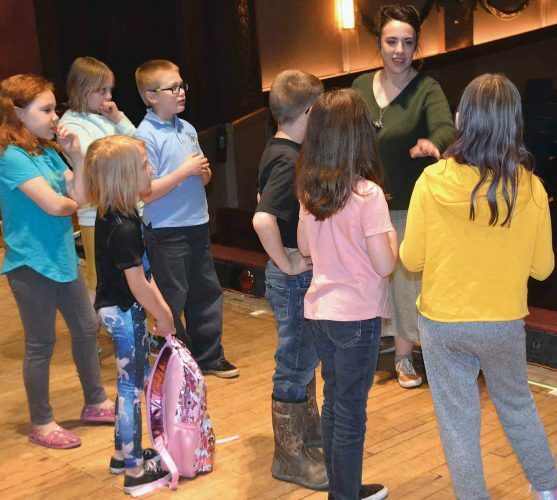 * Tiger Division: first, Maverick Brotherton, 6, of Pack 440; second, Aiden Fox, 7, of Pack 3. * Wolf Division: first, Xavier Powell, 7, of Pack 17; second, Brady Fisher, 8, of Pack 419. * Bear Division: first, Benjamin Rodehaver, 9, of Pack 52; second, Collin McPherson, 9, of Pack 52. 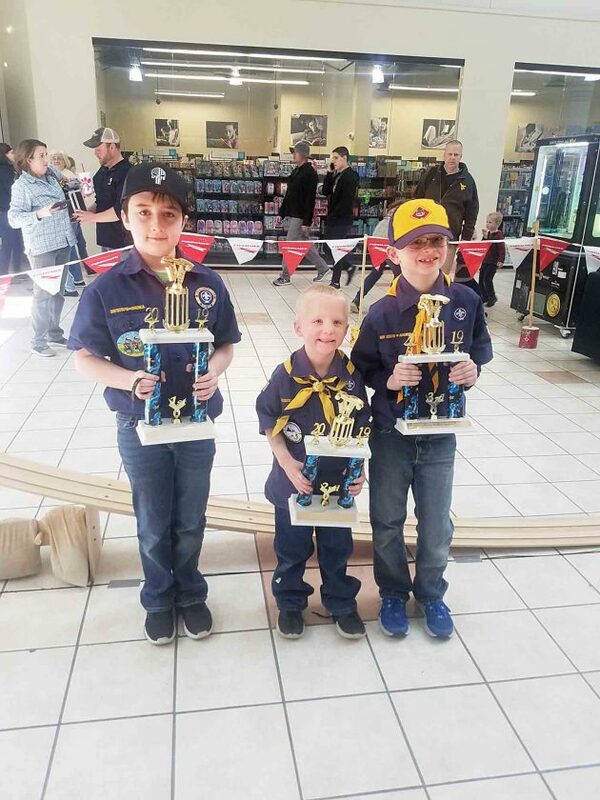 * Weebo One Division: first, Alex Parker, 10, of Pack 13; second, Jesse Morris, 9, of Pack 86. * Division Arrow of Light, also known as Weebo Two: first, Maxwell Parker, 11, of Pack 13; second, Ryordan McKinney, 11, of Pack 3. * First place: Benjamin Rodehaver, with a time of 2.3282 seconds. * Second place: Titus Powell, with a time of 2.3511 seconds. 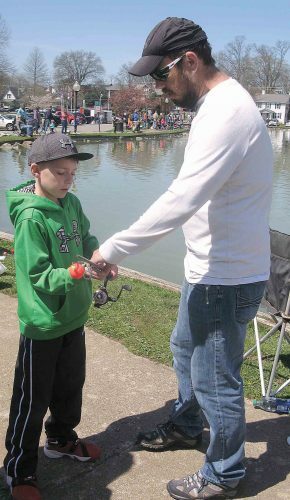 * Third place: Brady Fisher, with a time of 2.3570 seconds. * First: Magistrate Joe Kuhl and his wife Sharon Kuhl. 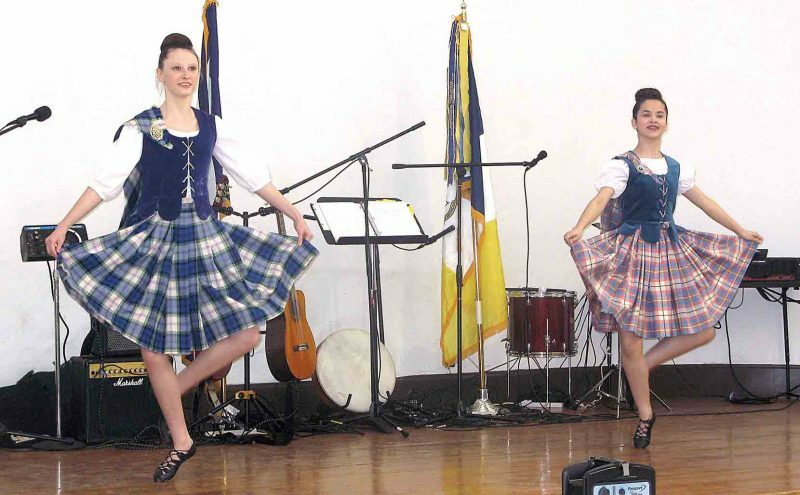 * Second: Mayor Randy Rapp. * Third: Chief Mike Pifer.